Itâs really amazing to see how crazy the combination of patriotism and tattoo love could be. 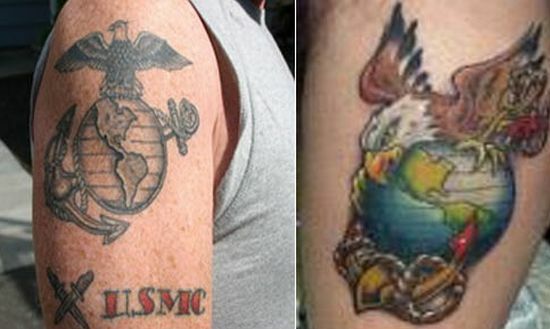 Look at these tattoo buffs infused with the feeling of love for country. Embodying Eagle globe anchor tattoo represents the patriotic feelings of the people of America and our tattoo freaks have got yet another way to represent their national spirit. This eagle globe anchor tattoo has close connection with Maritime Services and is also abbreviated as âEGAâ.